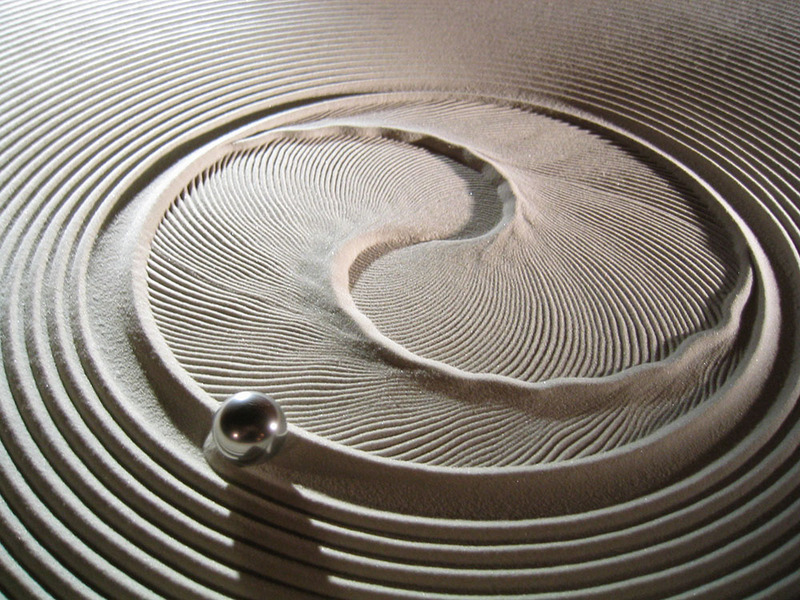 Twenty-five years ago Bruce Shapiro abandoned his medical practice to embark on a journey that would marry technology with the meditative practice of sand art. 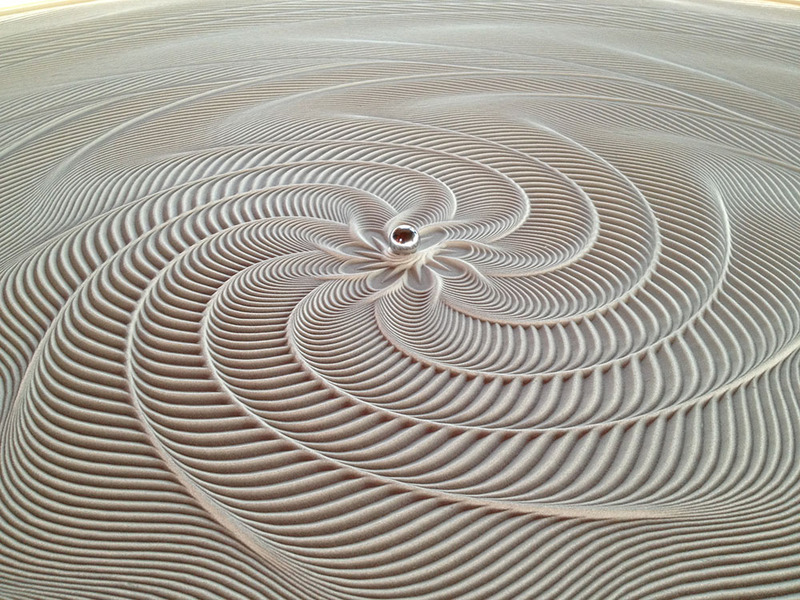 He ingeniously used CNC machines, which at the time were primarily used in industrial settings, to develop his kinetic art project known as Sisyphus . While Shapiro has created sculptures for Sisyphus over the past 20 years, showing his work across the US, Canada, Europe, and Australia, he more recently became intrigued with the thought of bringing the mesmerizing creations into the home. 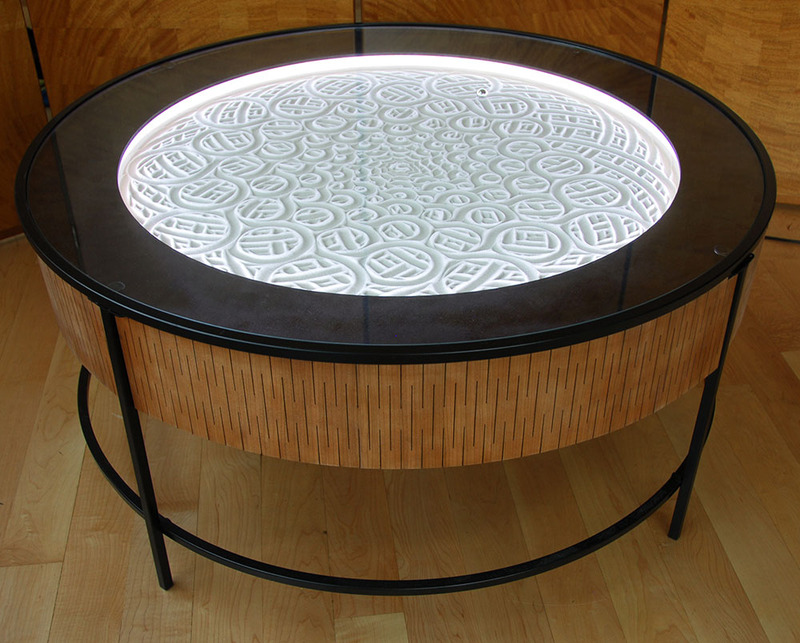 Along with Nordeast Makers, a Minneapolis based makers space he helped found, Shapiro has developed the Sisyphus Kinetic Art Table . The recently launched Kickstarter campaign, which has already doubled the team’s original goal in a few short days, offers tables in three sizes with finishes in birch/maple, walnut, padauk and black veneer. 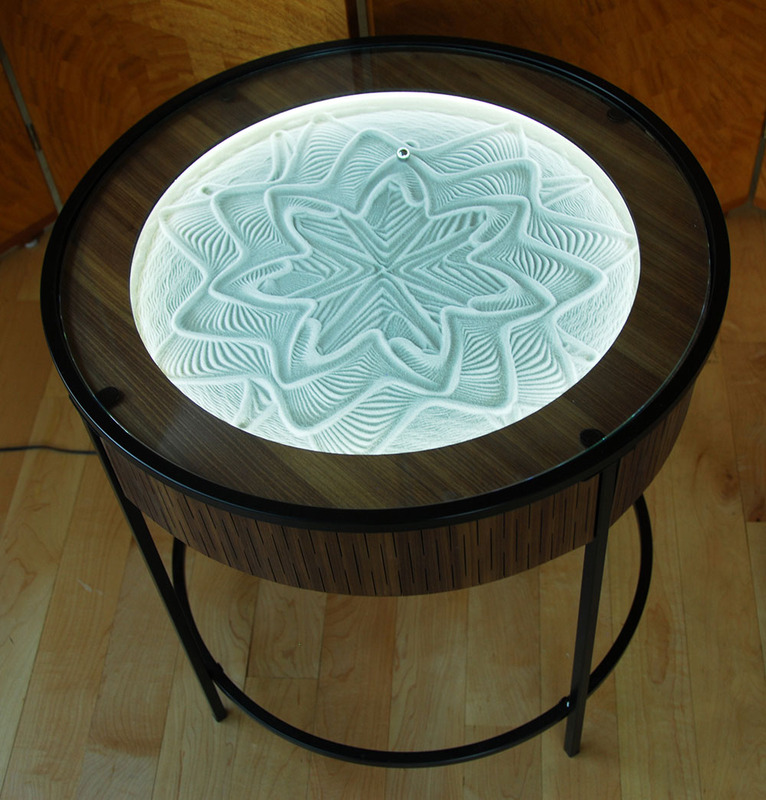 All aspects of the table, except the electronics, have been crafted in the United States. “Over time I have come to view Sisyphus as more than a kinetic art piece: it is an instrument, ” Shapiro explains. “As a musical instrument plays songs, Sisyphus plays paths. 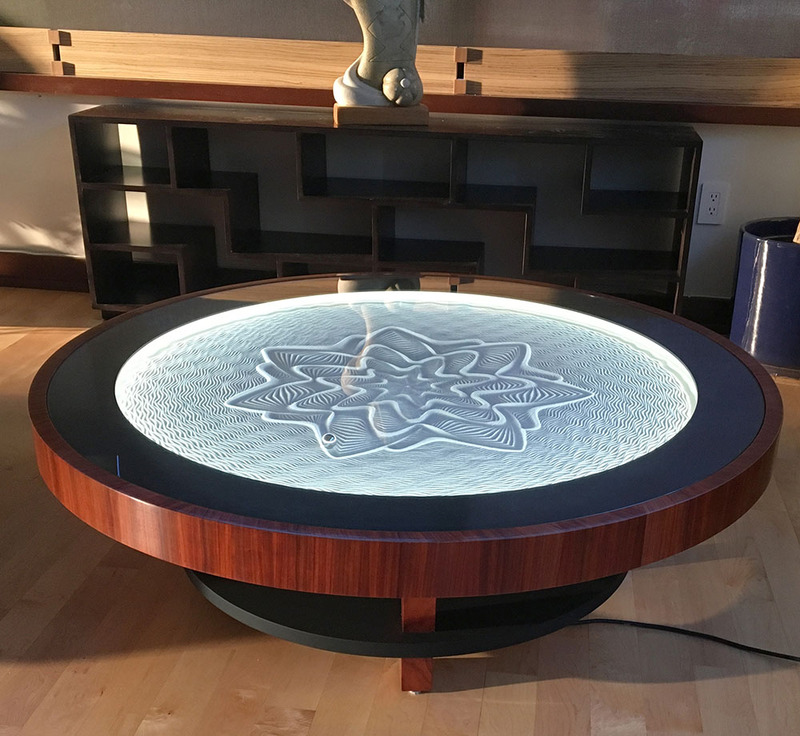 My goal with this Kickstarter is to get Sisyphus into people’s homes for them to enjoy as both furniture and art, but also, to inspire a community of composers to write ‘music’ for it.” Bringing the contemplation of a Zen garden indoors, Sisyphus has no on/off switch. It simply plugs in and automatically calibrates itself, loads a default playlist of paths, and begins playing. You can control playback, speed of play, and table-lighting from a mobile app or by using any browser to connect to Sisyphus with WiFi. Development is underway to allow other “composers” to create pathways for their tables. The only worry is that Sisyphus is so hypnotic, you may forget to speak with your guests while watching it at work! 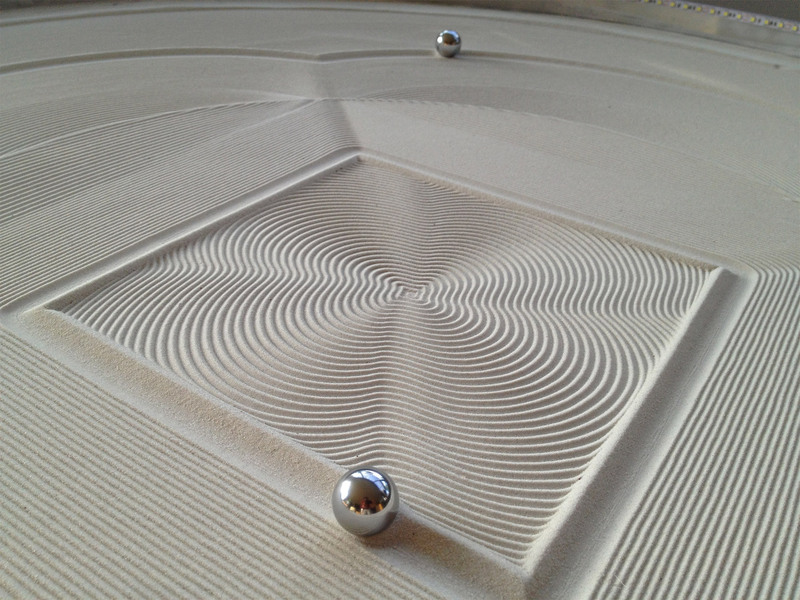 I want one of these tables! I need one of these tables!! !